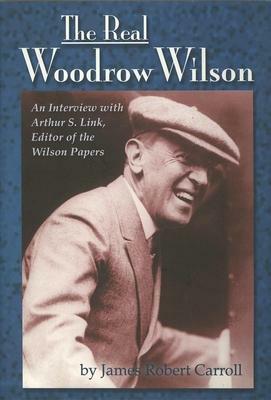 The Real Woodrow Wilson : An Interview with Arthur S.Link, Editor of the "Wilson Papers"
Cold and unsmiling, idealistic but stubborn – these have been the popular images of Woodrow Wilson. In truth, he was a politician of considerable ability, an eloquent speaker, and a man capable of great warmth. This 1993 interview with Arthur S. Link, as he was concluding the 69th and final volume of the Wilson Papers after 35 years, reveals a fuller and more vivid picture of the president, and the compelling tale of Link's dogged perseverance, the joy of discovery, and marvelous luck. Publisher Images from the Past,U.S.